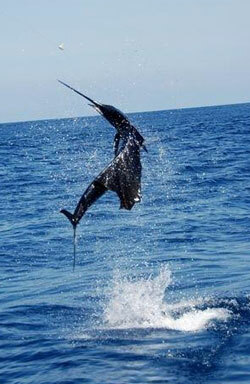 Deep Sea Fishing Charters Tampa, FL - Fun for the Thrill Seeker! Imagine yourself standing on the shiny white deck of a fully-equipped charter. The iridescent cobalt sail of a Blue Marlin soars above the water as sunlight catches the spray making it look like diamonds bursting from the waves. With our experienced charter captains, you won’t need to imagine. 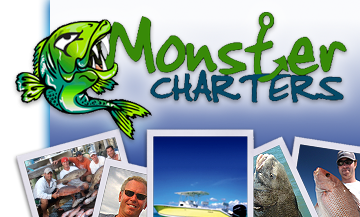 Monster Charter captains have spent years on the ocean and know just where to hook the big ones. On Gulfside waters, your dreams could become reality. All the equipment you need to catch your trophy-winner is provided for you on your deep sea fishing charter. Bring your sunscreen and your game fish face, and Monster Charters will supply the rest. Contact us today for more information on our deep sea fishing charters leaving from Tampa, Florida.